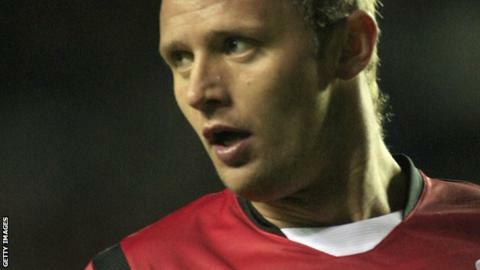 League One side Preston North End have agreed to terminate the contract of veteran striker Lee Trundle. after a spell in Wales with Neath. But he and made just two substitute appearances for the club. "We've come to an amicable agreement. It's a tough one because he's a good lad to have around," manager Graham Westley told BBC Radio Lancashire. "We've had a long conversation about where his future lies. "He's got a media career in front of him, which he's got great aspirations for, and I think it's right that he plays football that fits with his future career, rather than concentrating on the type of football that we need him to play and the type of training we need to push him through. "He has a massive smile on his face every morning and it's difficult to lose somebody like that, but at the same time, there comes that point where it's right for both parties." Trundle suffered knee ligament damage in a pre-season friendly against Morecambe on 21 July, and Westley believes the former Swansea forward could have been an asset at Deepdale, had it not been for his poor fortune with injuries. He continued: "He looked in exceptional condition and he's got such great quality. I never said it publicly, but when he took the knock at Morecambe, I knew it was a big knock for someone of his age to come back from. "I think a lot of the young players would have benefitted massively from playing alongside somebody of his experience. It hasn't helped us to be without him."